Stop Six, White Sands version, (Portraits DVD, 2004 & This Life CD, 2001). This is the original video version of the hit contemporary jazz single, “STOP SIX”…. 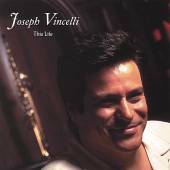 a great addition to your collection of Joseph Vincelli songs. You can purchase the song or the digital CD, by clicking the CD icon or go to www.cdbaby.com to buy the video.